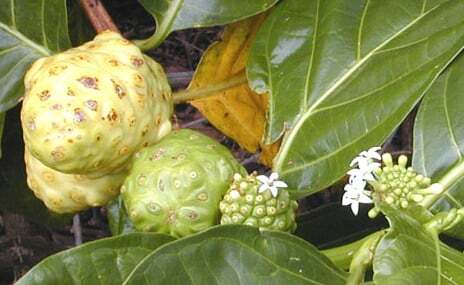 Noni fruit (Morinda cirifolia) developing ~ cropped from photo by Eric Guinther and previously located at Wikibooks and Wikipedia. Moved over from Wikipedia and Wikibooks on June 2, 2005. This page was last modified on 12 August 2006, at 03:10.